Each Alaskan mammoth ivory cat earring has three beaded sections in tones of ivory, soft pink, and aurora borealis crystal on gold-toned metal posts. 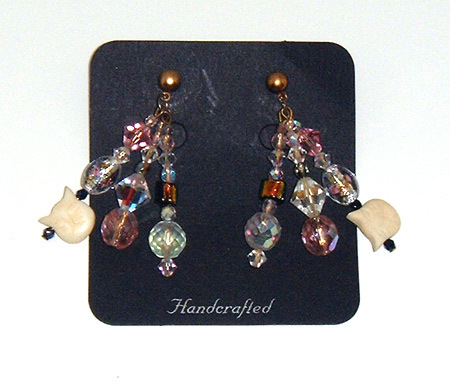 Each earring has two dichroic glass beads and one hand carved Alaskan mammoth ivory cat. Designed and hand-crafted by Mary W. Smith.